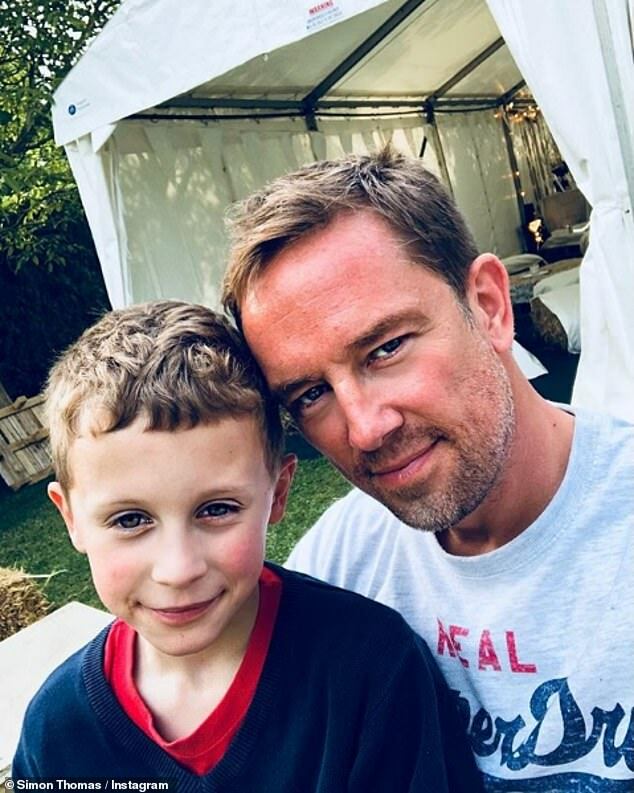 Former Sky Sports presenter Simon Thomas has shared a picture of the touching birthday gift he received from his son, and the woman thought to be his new girlfriend. 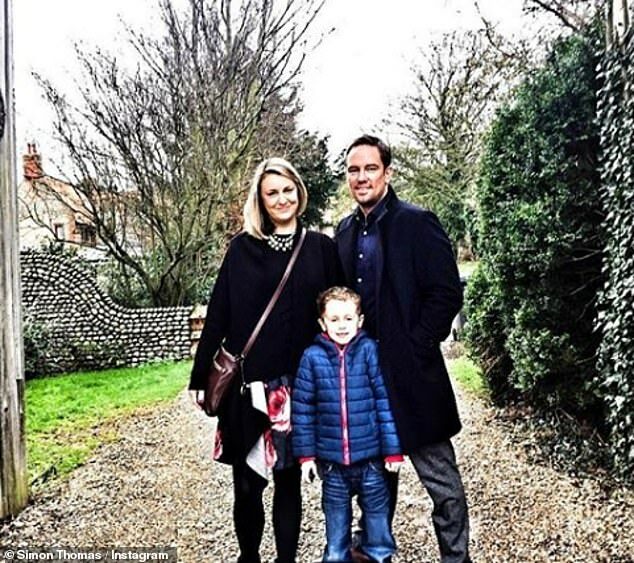 The Norfolk-born father-of-one, 46, who left the channel last year to spend more time with son Ethan, 8, after losing wife Gemma to cancer at the end of 2017, took to Instagram this week to share a picture of the cushion he received, made from his late wife’s skirt. Tagging rumoured girlfriend Derrina Jebb, 27, a minister’s daughter he is said to have met in church, he described it as his ‘absolute favourite birthday present’. 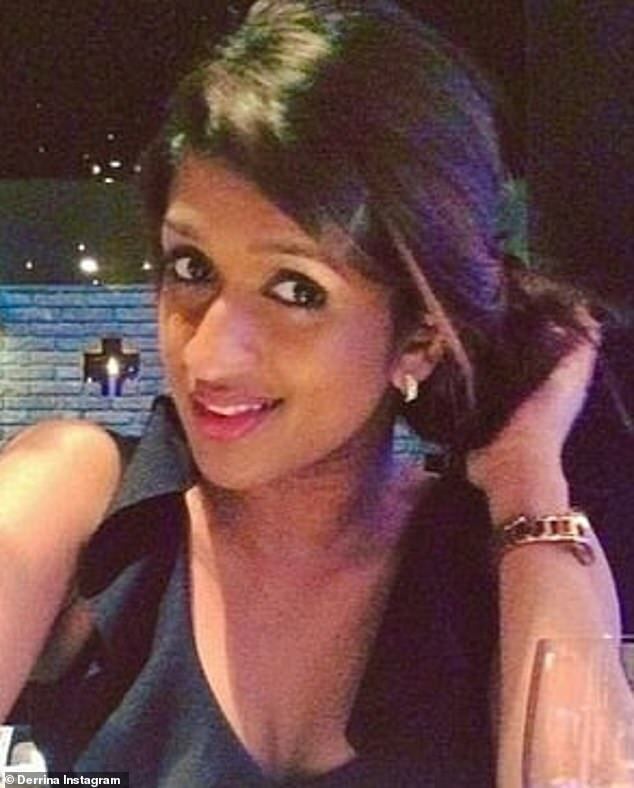 His brave post comes just a few months after the first anniversary of Gemma Thomas’ tragic death last November, a year after she was sent home for bed rest by her GP after visiting three times with flu-like symptoms. 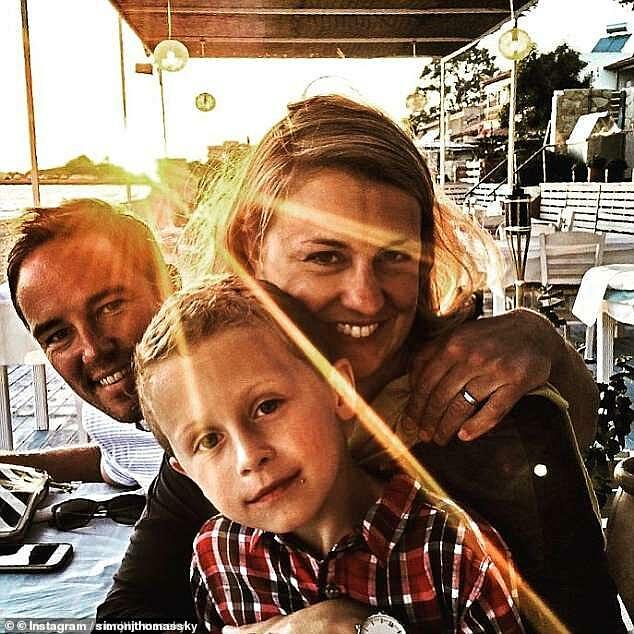 She died just four days after being diagnosed with acute myeloid leukaemia, aged 40. 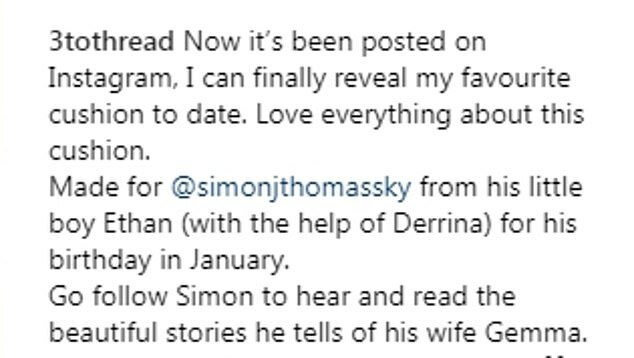 Simon has been open about his mourning, sharing his grief with his 96,000 Instagram following, who have in turn shown their support for the widower. 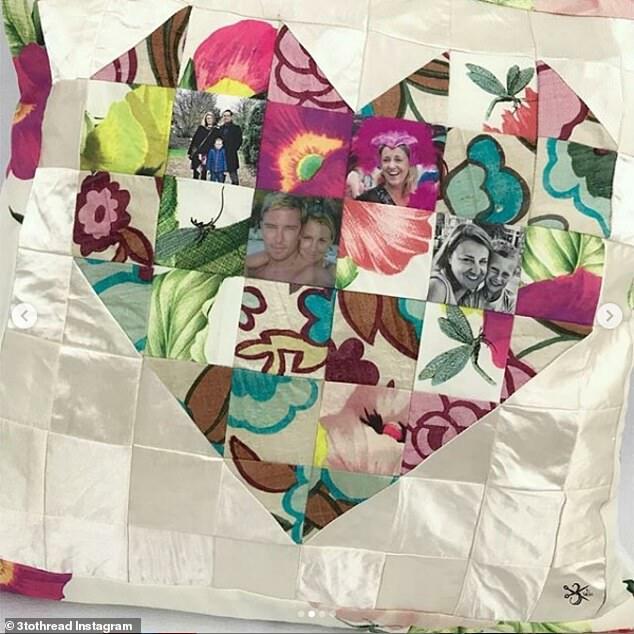 And on Monday he took to social media to share a picture of his patchwork cushion, which featured pictures of the family together. 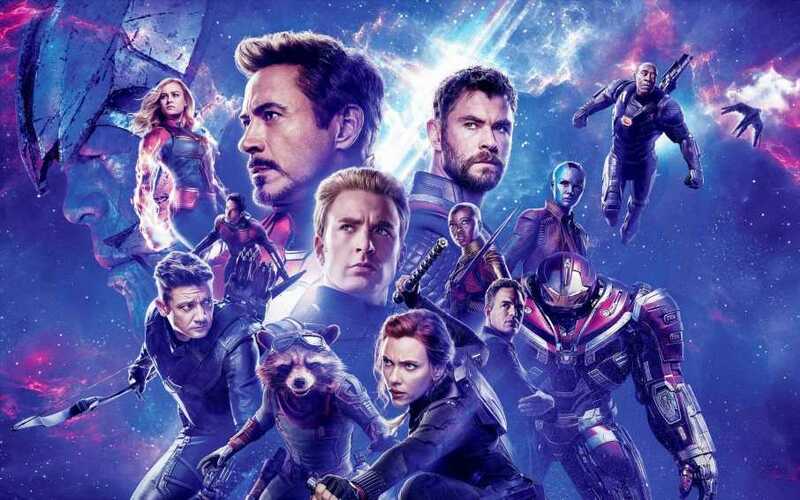 The post quickly racked up 5,000 likes with supporters commenting on how thoughtful the gift was. 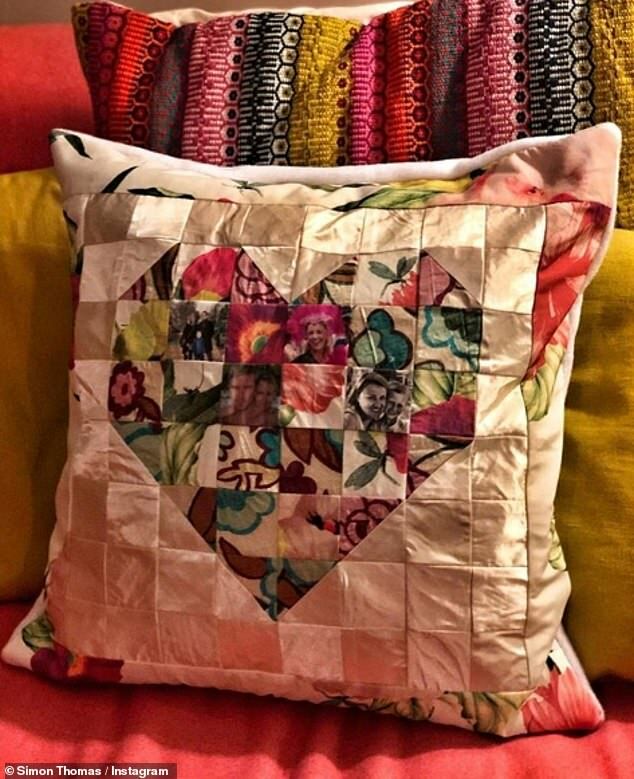 And the online company behind the cushion, run by Tarah Finlay, also shared a close-up snap of the work, writing: ‘I can finally reveal my favourite cushion to date. Simon first revealed he was in a new relationship towards the end of last year, though he did not disclose her identity. Speaking to BBC Radio 5 Live in November, the ex sports presenter addressed his new relationship and said it has been ‘an incredible support’ for him. The father-of-one admitted he could be falling in love, but said Gemma could never be replaced, saying: ‘I’m very aware she was someone I didn’t know before and have got to know over the last few weeks and months. ‘Right from the early stages – she had this empathy towards me. She’s Christian as well and that’s important to me as a man of faith. ‘She’s been an incredible support for me. She was the only person who would always pick up the phone. The former Blue Peter presenter, who has described himself as a ‘man of faith’, reportedly met Derrina Jebb, 27, thought to be the woman in question, through his church. Jebb is a church minister’s daughter and currently works in the legal industry. According to sources, the pair are taking things ‘very slowly’. 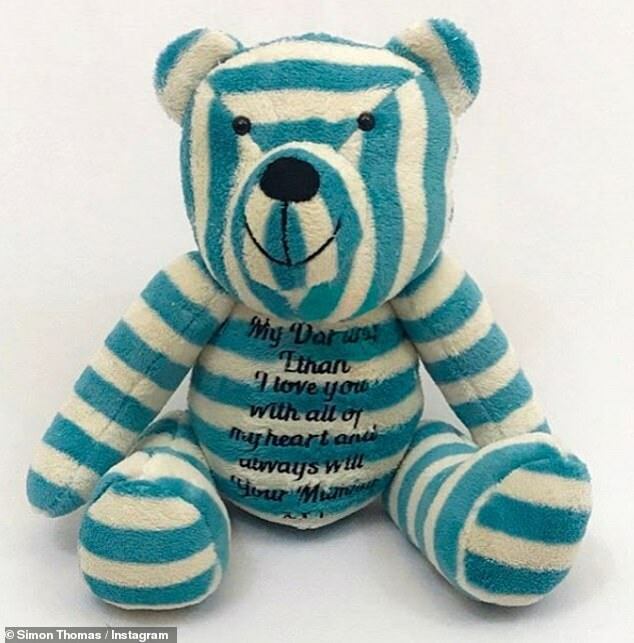 Last month Simon shared a photograph of a blue and white striped teddy he had made for son Ethan for Christmas. Sharing a picture of the toy, Simon posted: ‘Just love this so much. A Christmas present for the boy made out of Gemma’s dressing gown. In April Simon announced he would be leaving his role at Sky, citing his main reason as wanting to dedicate time and energy to Ethan. Simon is now backing a campaign to educate GPs about the disease, encouraging them to take blood tests from suspected sufferers of the disease which affects 2,600 people in Britain a year. In AML, stem cells within the patient’s bone marrow produce too many immature white blood cells, which are not capable of fighting infection.